Gao Zhisheng was born in Jia County, Yulin, Shaanxi on April 20, 1964. His father passed away in 1975, leaving Gao and his six siblings with his mother. His family didn’t have enough money to send him to primary school, but he reportedly sat outside a school window to listen to classes. He attended junior high school with the financial help of an uncle, and joined the People’s Liberation Army in 1985. Stationed in Kashgar, Xinjiang, he got his high school diploma and became a Party member. In 1991 he married his wife Geng He (耿和). After seeing Deng Xiaoping’s call to train 150,000 lawyers to develop the rule of law in China in 1991 in an old official newspaper, he saved enough money to enroll in a self-taught law course and passed the national legal exam in 1995. He went on to practice in Xinjiang, winning several high-profile cases, including a national headline-worthy $100,000 in compensation in a medical malpractice case. In 2000 he moved to Beijing and established the Zhi Sheng law firm. In 2001, China’s Ministry of Justice named Gao one of the top ten lawyers in China for his work representing victims of medical malpractice and fighting for compensation for dispossessed landowners. But in 2005, Gao was disbarred and authorities ordered the closure of his firm after he refused to stand down from representing sensitive clients including Falun Gong practitioners and defendants from Taishi Village, Guangdong after political unrest in the region. He resigned his Party membership that same year. An open letter to Chinese representatives at the Congress on the Law of the World signed by Gao, fellow rights lawyer Teng Biao, and rights activist Xu Zhiyong on September 8 2005 called out the contrast between officials’ claimed devotion to the rule of law and their inaction on rights issues, listing several recent examples. Gao and his family began to be subjects of round-the-clock police surveillance, but Gao continued his work documenting rights abuses. In August 2006, Gao disappeared, and was formally arrested in September for “inciting subversion”. His three year prison sentence was commuted to five years probation, including the stripping of his political rights—including his ability to publish or speak publicly about the government—for a year. 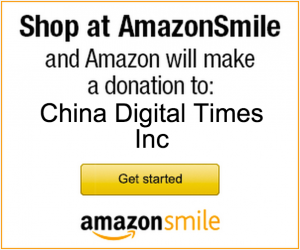 In 2007 he again disappeared, and was detained for several weeks after sending an open letter to the U.S. Congress denouncing China’s rights situation. 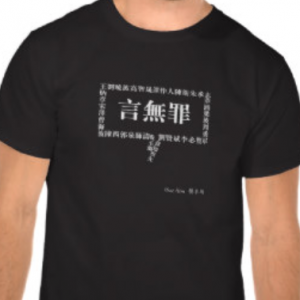 Gao’s alarming account of his kidnap, torture, and forced confession in 2007 was published by Human Rights in China in 2009, after he again disappeared, this time for over a year. Just prior to this disappearance, Gao’s wife and two children fled China to be granted asylum in the U.S. In March 2010, he resurfaced in Shaanxi, telling reporters he had been sentenced for subversion and released. A month later, in April 2010, he again disappeared. In December 2011, eight months after the U.N. Working Group of Arbitrary Detention called for his release and after his whereabouts had been unknown for 20 months, Xinhua News Agency reported that Gao would be going to prison for three years for violating probation and inciting subversion. Gao was released from prison on August 6, 2014 amid concerns that his freedomwould continue to be limited. After his release, reports emerged that he “can no longer speak intelligibly” due to malnutrition and psychological trauma. 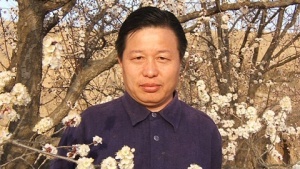 Gao slowly recovered while living under tight surveillance with his in-laws in Urumqi, Xinjiang. In 2015 he detailed his three years of solitary confinement and regular torture in an interview with the Associated Press. In 2016 while still living under constant surveillance and with his movement limited, Gao managed to smuggle the manuscript of a detailed memoir “Stand Up China 2017” (2017年，起来中国) to Taiwan for publication. In the book, Gao detailed his torture in further detail, and laid out his predictions that the CCP would fall in 2017. On August 13, 2017, 53-year-old Gao Zhisheng went missing from a remote cave-dwelling in Shaanxi. His current whereabouts are unknown. Coverage of his most recent disappearance from Radio Free Asia cites last year’s memoir and the sensitivity of the upcoming 19th Party Congress as potential reasons for his disappearance.